for $548,800 with 3 bedrooms and 3 full baths. This 2,136 square foot condo was built in 1997 on a lot size of 0.1000 Acre(s). Pristine and welcoming, this home is in move-in ready condition and waiting just for you!.Located at the Rancho Mirage Country Club, on the Southeast corner of Bob Hope and Frank Sinatra drive, this property features a private area wall entrance, a double door entry way to a spacious foyer with new tile flooring, an open floor plan, a glass built-in mini bar perfect for entertaining, laundry room, two additional bedrooms and bathrooms. The master suite features a built-in marble tile fireplace, a sitting area with sliding doors and a view of the green fairway, access to the pool and spa, and a walk-in closet. 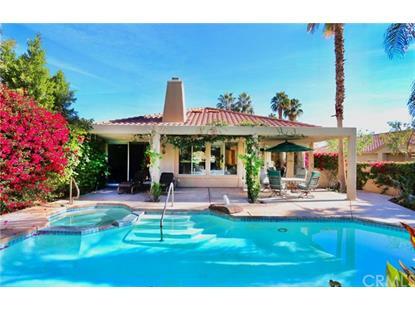 The pool and spa area is a perfect place to relax and enjoy the beautiful weather Southern California has to offer.This home is conveniently located near Agua Caliente Casino Resort and Spa, River Mall, Westfield Palm Desert, Palms to Pines West Shopping Center, El Paseo shops, and many health centers and restaurants.